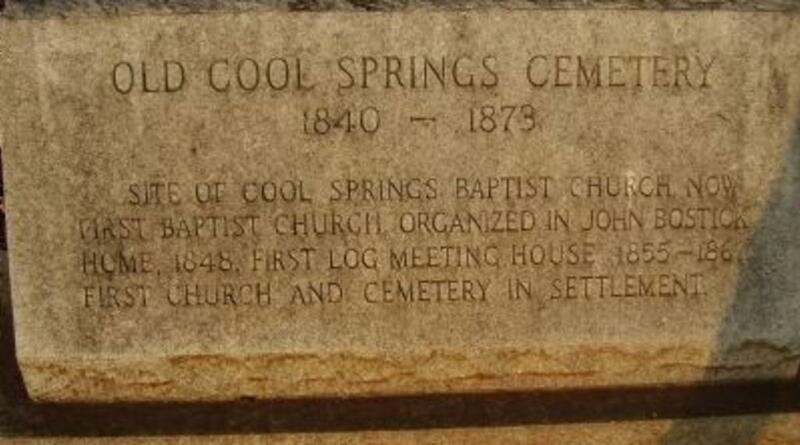 Inscription: Site of Cool Springs Baptist Church, now First Baptist Church, organized in John Bostick Home, 1848. First log meeting house 1855-1867. First church and cemetery in settlement. 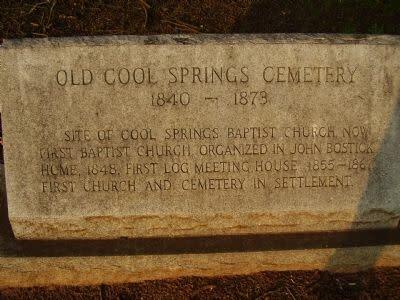 Marker is located approximately 1/2 mile away from the First Baptist Church in Forest City, which originally was the Cool Springs Baptist Church. 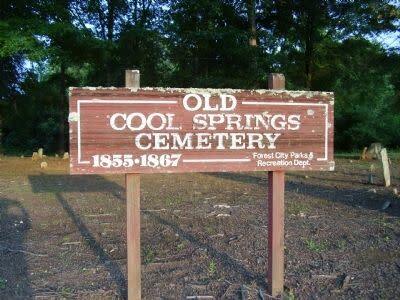 The Cool Springs Cemetery was for their parishioners. 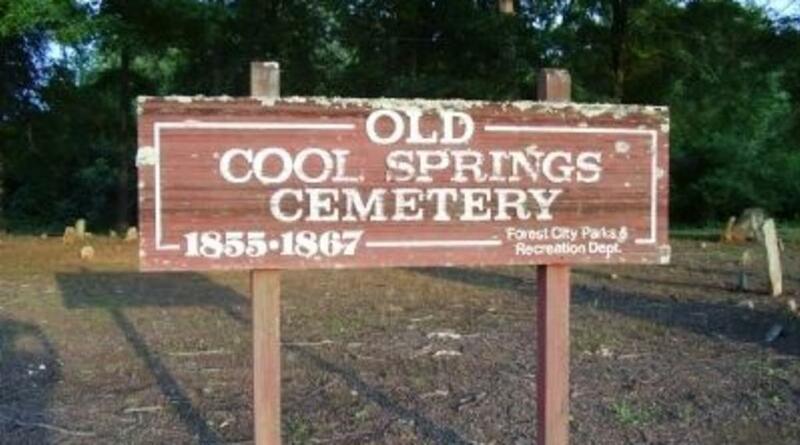 The actual marker is located on Vance Street, which is off of Main Street (State Rd. 1518).